Video of Is the SONY a7 III Auto Focus PERFECT? There is a lot of buzz around Sony’s recent announcement of the a7 III, and for good reason: at the price point, there is no camera on the market with a better feature set. But does the autofocus hold up to Sony’s extravagant claims? In Jared Polin’s recent YouTube video, Polin goes over how Sony’s newest addition handled a dune buggy photoshoot. When shooting fast-moving subjects, autofocus is king, and the a7 III did not disappoint. In the 25 or so photos that he shot as the dune buggy flew through and over the dune, only three photos were slightly out of focus. 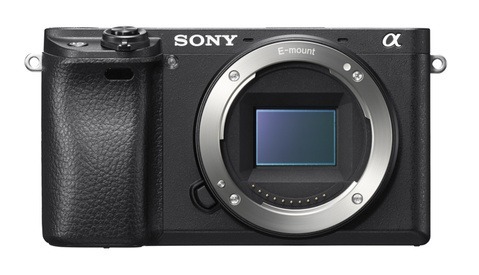 At such a high hit rate, it goes to show that even at the entry level price point for a full frame camera, Sony has found a way to push the market forward with this release. It should come at no surprise, though, because the autofocus system is passed down from last year’s release of the Sony a9. Polin also gave us a sneak preview into another shoot he did where he was using the Eye-AF also featured in the camera, which seemed to be doing a great job hitting focus. As a Sony shooter, I pay close attention to all the current releases and how they compare to the competition. While the a9 and the a7R III both impressed me, they stand comparable to the competition. This feature set of the a7 III makes it stand above the rest in the price point of an entry-level full frame camera. Now let’s just see how Sony can shake up the market with the highly anticipated release of the a7S III. Chris Ramsey Jr. is a Denver, CO based outdoor lifestyle and adventure photographer/videographer. He is constantly pushing himself physically, mentally, and creativity to further his freelance work. When he's not behind his computer you can find him in the mountains enjoying the great outdoors. More from Chris Ramsey Jr. I recent picked up an a7R III because it seemed to be an awesome camera for video and photo in a single package. The camera is incredible for a hybrid user like myself. The thing I'm having trouble stomaching is the fact that it only has a few advantages over the a7 III as far as I can tell. However, so far as I can tell, it has a bunch of major disadvantages too. Major Advantages of a7 III - Autofocus Speed, Autofocus Coverage, Full Sensor 4k Quality, Slight Stabilization Increase, PRICE PRICE PRICE! At less than 2/3 the cost, Iʻm having a hard time deciding weather or not to downgrade (or is it an upgrade) to the newer a7 III which packs newer technology since my main focus is video. It would save me probably a grand. I am curious about the a7S III release later this year, although if it remains at 12MP, its probably not going to be as much of an option for me since I shoot a lot of photos too. I don't think the a7 III has a better AF system than the a7R III. It's not scientific, though. It's definitely not the same system as the a9; it has the same number of focus points and coverage, but it doesn't have the same refresh rate. My own impression was that the a7 III hunted a little more than the a7R III, and eye detect seemed more reliable on the a7R III. They're both very good, though. Full-width video on the a7 III is better at high ISOs, though. Well, I'm sticking with the a7R III. Thanks for the thoughtful feedback Tony, been watching your content for years at this point. I definitely see a lot of advantages of the A7Riii over the A7iii but for the price point I don’t see anyone competing in the full frame price equivalents. At what point do you think that Sony is gonna start running away with the digital imaging market especially at these lower price points? Along with that how do you think Sony attacks the market for video with the a7s mark iii possibly higher bit rate and 1080 240fps? Thanks! I was just going by the comments from the Sony rep in an interview I saw saying that it was more sophisticated with more coverage. I trust your real world assessment more though. I’ll take reliability over coverage any day. Also, it makes me feel a lot better about my purchase. Hehe. Anyone have a good recipe for blueberry pancakes? Jpeg compression won't blur out only the side of a photo like that FYI. What it should say is there's a lot of buzz about Sony a7 cameras from YouTube gear bloggers who in order to keep recieving all expenses paid trips to the latest, (controlled), Sony equipment launch say glowing things about these cameras whilst choosing to ignore, (for all expenses paid trip reasons:), areas where these cameras have issues. An easy way to identify these people is to try and find examples of their work, don't expect to see anything special because these aren't working professional photographers. The latest Sony cameras are very good, I'll not deny that but to say there better than DSLR's is spin, I could talk about the serious issue of 'stop down focus' which has a habit of rendering eye autofocus redundant as proven by numerous posts from users complaining about focus tracking/front or back focus, a good one would be the over complicated menu system which stumps many amateur photographers resulting in them never getting the best out of the camera, or perhaps the questionable weather sealing qualities to which Sony are reluctant to go into to much detail about. 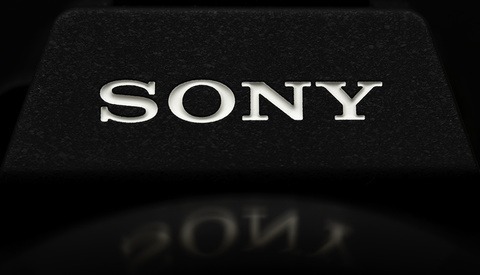 I'm not talking down Sony, they are pushing the envelope of photography and should be applauded for that but in doing so they have encountered problems, (as have other manufactures), which potential byers should be made aware of.